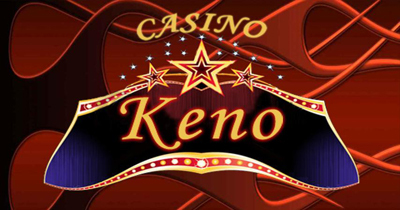 Keno is a lottery game that is commonly found in casinos around the world, and one that is also widely available online. Keno is easy to play and offers instant gratification, which is why it is one of the most popular lottery games around. With Keno, you choose how much you want to play and what jackpot you want to aim for. Unlike standard lotteries, you don’t need to wait days for the results and you don’t need to spend a set amount of money on each ticket. However, just like standard lotteries, the potential wins in games of keno are huge. There are many great games of keno out there, but there are just as many bad games and bad casinos. We have compiled a list of the best sites to make your search a little easier. Keno is a very simple game. You will be faced with a board of numbers and asked to create a ticket. You can spend as much as you want on this ticket (within the limits of the game) and you can choose to play as few or as many numbers as you want (also within the limits of the game). Your odds will depend on the size of the game and the type of game, but typically, the more numbers you pick, the lower your chances of success and the higher the odds will be. If you play the maximum amount of numbers, then you will unlock a jackpot if you land all of them, and you may also pickup smaller amounts if you land just a few of them. Can I Get a Bonus Playing Keno? Of course! In fact, because there are so many bonuses out there, you would be foolish if you didn’t get one. There are many types of bonus and each site will have their own restrictions, limitations and rules. It’s a lot more complex than it sounds, which is why we have written an extensive guide casino bonuses, which you can read here. You should only gamble what you can afford to lose, and you should never assume that you will win when you make a bet. The best gamblers adopt an attitude of assuming that they have already lost their money as soon as they make a deposit. That way, if they do win then it’s a bonus, and if they lose, they won’t mind. This is essential in all forms of gambling, but even more so in games of chance like this, where it is easy to get carried away and to lose more than you can afford to lose. Always study the odds of the game you’re playing and the choices you are making. If the odds are too low and do not align with the potential return you’re getting, then move on. Find another game of keno, find another online casino. Skill and strategy does not come into play with keno, so it’s all about the odds and your chances of winning. Keno is random, so the odds of any number being drawn is the same. Because of this, players tend to choose numbers far from each other, spacing them out equally. The truth is that there is just as much chance of 5 successive numbers being drawn as there is of 5 spaced-out ones, and if you look at winning strips, they tend to include at least a couple of successive numbers. So, rather than picking 30, 40 and 50, try 30, 31 and 40. Don’t be afraid to pick successive numbers. Never stick with the same group of numbers. Your chances of winning are just the same if you do, but this is a trap that many lottery players get stuck in. They end up memorizing the numbers and start playing every lottery they see, just to avoid the devastation of seeing those numbers come up in a lottery they have not played. If you’re betting the maximum numbers, decrease your stake. If you’re betting fewer numbers, increase it. The returns will be similar and you can save yourself a lot of disappointing losses this way. The payout percentage of online games of keno are much higher than the offline ones. This is because online players have more choice and therefore tend to be more thorough when making that choice. Online casinos are much more competitive, they know that you can easily reject one game and one casino for another, which is not always the case with offline casinos. There are many more games of keno to choose from in the online world. Single online casinos often have several variants, and when you consider how many casinos you have to choose from, this adds up to hundreds of games. Unless you’re a VIP, you won’t get many perks or bonuses in an offline casino, but in an online casino they are available to everyone, regardless of how much they bet. Although it’s not quite like a game of craps or roulette, games of keno offer a communal experience, with many players all looking towards the same board and watching the same numbers come in. What are the Best Deposit and Withdrawal Options for Online Keno? On most online casinos there are dozens of deposit and withdrawal options to choose from. Which one works best for you will be decided by your location, your budget and the methods that you have at your disposal. There is no straightforward answer, no way of determining which are the “best” deposit or withdrawal options. There are a few things to note though. Firstly, if you reside in the United States then you will probably be limited to wire transfers and similar methods, as there are tight restrictions of web wallets, debit cards and credit cards where online gambling is concerned. If you gamble frequently, then you will probably be better off with a web wallet such as PayPal, and if you have a credit card with a reward system, you should know that online casinos and other gambling sites do not generate points for these systems. This means that a deposit to an online casino won’t help to build your air miles or loyalty points, and you may even be charged a small fee for making a deposit using a credit card. To learn more about deposits and withdrawals, about the many differences and the benefits to all of them, read our extensive deposits and withdrawals guide. Most online casinos have extensive mobile software, and that software includes everything from table games and slot machines, to lottery games like keno. This game does not require a lot of interactivity and it looks great on screens of all sizes. The keno game screen is usually a little too big for some smartphones, but it looks great on the larger screened devices and on tablet casinos, and there are also versions of keno that have been tweaked to look great on small screens. Keno uses a random number generator to determine the outcome of every game, with every drawn number being decided by this complex algorithm. Similar systems are used in both online and offline games, but as the offline games can be leftover from software and hardware that is at least 10 years old, online games tend to be more advanced. What is the Best Keno Strategy? There are many different strategies for playing keno, and which one you choose will depend on what you want out of the game. If you are happy to acknowledge that the money you deposit will most likely be lost, and if you’re an all-or-nothing gambler, then you should choose to bet low, but with the maximum amount of numbers. This will give you a chance at the jackpot, although your chances of walking away with anything are low. If, however, you’re a more rationalized gambler and one who is happy with a profit, regardless how small it is, then you’ll want to increase your stake and lower the amount of numbers that you play. You won’t win the jackpot this way, but you could walk away with a nice profit. Keno can be beaten in the sense that you can win a lot of money and walk away the victor. However, if you’re looking for a game that can be beaten with strategy, a game that you can win at time and time again, then keno is not it. Keno is a game of chance, and no amount of strategy will overcome that. Can I Play Keno Online in the US? Online casinos are not as widely available in the United States as they are elsewhere. However, they do exist, and thanks to a series of loopholes, they are also legal. For an online casino to offer its services to US players, it needs to be based outside of the country, and many of them are based in countries like Costa Rica and Panama. As many of the legal issues with online casinos in the US are based around the country’s financial institutions, a US online casino will not offer debit cards and credit cards as banking options. Web wallets will not be available either, as payment providers like PayPal and Skrill refuse to facilitate online gambling in the United States. The important thing to note, however, is that the casinos are not breaking the law by allowing US players to play, and if you are based in the US, you are not breaking the law by playing. What is the Best Keno Software? One of the best games of keno we have come across can be found on the Microgaming software. Microgaming is the biggest and the oldest online casino developer, and one that created some of the most loved casino games. Their game of keno has an old-school aesthetic, and offers a wealth of choices. There are 80 numbers in total and you can choose to play as many as 15, or as few as 1. How many you play will dictate how much you can win, and if you go all out and choose 15 numbers, then you can scoop a huge jackpot. Where are the Best Places to Play Keno Online? As mentioned above, any Microgaming casino will be a great choice. However, this is not the only place you can find great games of keno. Playtech also have them, and between them, Microgaming and Playtech software accounts for a vast majority of all online casinos out there. We have reviewed a great number of Playtech and Microgaming casinos over the last few years, and you can find our list of the very best casinos software. We have considered a number of parameters, from the best bonuses to the best customer support and more, which makes this an extensive list and one that will be invaluable if you’re looking for a new online casino. Keno is an exciting game, a way to play the lottery instantly and to get results straight away. 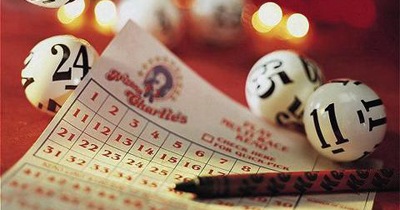 The odds are never in your favor and there is no way to change that, but with many games of keno your chances of winning big money are much greater than they are with national and state lotteries. Add to this the fact that you can decide how much you pay per ticket, and you have a lottery system that beats all others, and one that all gamblers should play at least once.